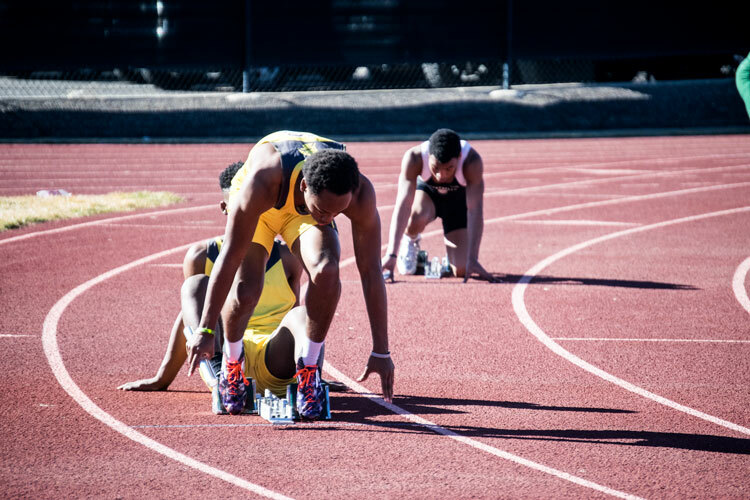 Track & Field prepares for another season of sprints and sportsmanship. As the snow begins to melt away and flowers are beginning to blossom, a new year for TJ’s track runners is just beginning. Led by coach Darius Reed, the team has already begun conditioning for their upcoming season. Reed, among other accomplishments, has competed in Track & Field throughout his high school and college careers, and achieved many honors during his time at George Washington High School, the Junior USA Team, The Colorado Flyers, UCLA, and MSU. These accomplishments include being a high school state champion in two events, ranking first in the nation in 110 hurdles, and achieving 20 honors while competing at MSU. To compliment his athletic career, Reed also majored in human performance & sport with a minor in sociology. The track team is very inclusive of their selection of athletes. “Anyone can run track,” freshman Carson Campbell stated. “Track is great practice for any sport you play.” Coach Reed added, “I look forward to every kid that comes out, an athlete that is a part of this team grows, mentally and physically, that’s what I’m here for, that’s why I coach.” Among the various events the team will be running this year, the most significant will be the Class 4A Championship at Jeffco stadium on May 20th. The season started on February 27th, and practice is after school starting at 4:00 down in the track room. The Thomas Jefferson track team is ready to roll for their 2017 season.